Cafe Kolache, 402 3rd St.
Friends, family, co-workers ~ you will not want to miss this opportunity to relax and enjoy each others company at the Beaver Station Christmas Tea! 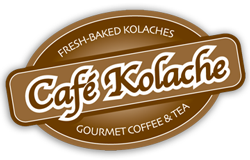 Enjoy custom blended hot or cold tea, scones with preserves & cream, fresh fruit, finger sandwiches, quiche and dessert pastries from Cafe Kolache. Purchase tickets here. 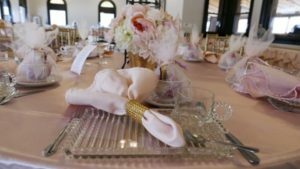 Immediately following the wine festival, enjoy gourmet desserts while listening to acoustic trio Kelly Burgos, Peter King, and Dan Klicker who will be preforming an eclectic blend of jazz, blues, and folk music! Beaver county's first ever wine festival is a great opportunity to experience a variety of wines from wineries in and around the Western Pennsylvania area. Wine tastings will be held from 2pm-6pm in downtown Beaver. Enjoy fine desserts & intimate conversation at Cafe After Hours while shopping in Beaver during the Third Thursday on Third extended shop hours. Visit our espresso bar at the Beaver County Book Fest while enjoying a day of celebration for reading, writing, and the arts!